If you’ve ever had a dental crown done before, you know how long it can take to complete the process. You spend at least two long appointments with your dentist, and by long, I mean at least 90 minutes if not more. That’s only if you don’t have any problems with your temporary crown. If problems arise, you’ll have to visit your dentist again. Then it’s at least 2 weeks, maybe up to 4 for the dental laboratory to complete your permanent restoration. The whole process is daunting and time consuming! Well, not anymore! 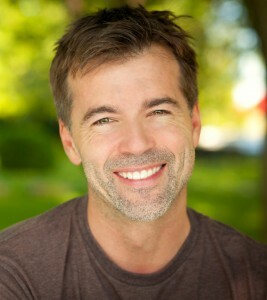 Your Allentown cosmetic dentist discusses the benefits of CEREC & e.max porcelain crowns. What is CEREC & E.max? CEREC is the revolutionary crown milling system that you will find when you work with Dr. S. John Salivonchik at our Allentown dental office. CEREC allows us to provide high quality, porcelain restorations to our patients during one appointment, while they wait. You’ll leave our office with a beautiful, fully functioning, and completed crown on the day that you first come for your appointment. With CEREC, we scan a 3D image of your tooth that is delivered directly to the milling machine located in our office. Dr. Salivonchik will oversee the design and shading of your crown, which will be milled in our CEREC machine while you wait. E.max refers to the type of porcelain CEREC uses to fabricate your crown. E.max is a high quality, metal-free porcelain that provides twice the strength of conventional porcelain. It’s also durable, yet it still looks and feels natural. The biggest benefit that CEREC offers is the reduction of time spent and appointments needed to complete your crown. What used to take weeks to complete, now takes only a couple of hours. CEREC has also completely streamlined the preparation process, as there are no longer messy and uncomfortable impressions taken of your teeth. There’s also no need to wear a temporary crown, which caused problems for some patients when they would fall out or break. Dr. Salivonchik has a mission, and that is to make every appointment as pleasant and stress-free for his patients as possible. This is why you’ll find state-of-the-art equipment like CEREC at our office, to make treatment as comfortable and efficient for you, our patient, as possible. Contact our office today to learn more!